At long last the SNP Administration brought forward their plans for fortnightly bin collections on Monday evening. I was hugely disappointed that the SNP Administration was not prepared listen to the views of any opposition councillors. I moved a motion which would have meant that there was a consultation before a decision was made rather than the rather strange idea that now a decision has been railroaded through there will be now be a consultation. I want to see the council get this policy right but it is clear to me that we should have listened to the workforce and their trade unions and to the people of Dundee. 'Every time these plans have been mentioned I have made clear that I am not opposed to the concept of fortnightly bin collections. But I have made clear that I believe that with such a major change to a core service provided by the council requires there to be a major consultation process with the public of Dundee. That is why I was happy to support you, Convenor, in June 2013 when you brought forward report 18-2013. That report brought showed the many problems that we face and highlighted the need to include a wide-ranging consultation in this work prior to their being a final decision. ‘I also want to make sure that as many people from our communities can become involved in this process and that their views can be heard.’ Not my words Convener, that is what you said in a News Release issued by the Council PR Department on 3 June 2013. Convener I want you to be successful in your ambition to improve recycling rates in this city. That is why you should agree with my motion this evening. I want the public of Dundee to have a say in how this is brought forward. I trust the people of Dundee, we should outline to the people of Dundee the issues before us give them some realistic options and ask for their views. What do we have to fear from the people of Dundee? Offering a so-called consultation after the decision has been taken is perverse. I am calling for a full and transparent consultation with the people of Dundee about the future of a service which impacts on every household in the city. It is important that we get this right, to do that let’s hold a consultation. At Monday evening's Policy & Resources Committee I was pleased that the council supported a motion which I put forward which called for stronger action against blacklisting. I was pleased that we spoke with one voice giving greater protection to workers. 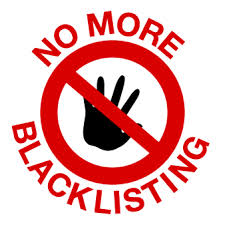 Back in August last year this committee approved an item put forward by Councillor Gordon and myself which made it clear that the council was opposed to blacklisting. Since last August the Scottish Government has issued Scottish Procurement Policy Note 4/2013 entitled the exclusion from public contracts of companies which engage in blacklisting. This is stronger than the position that we adopted last year and I think that we should follow the lead given in this Scottish Government policy note. This is an issue of fairness, it is an issue about ensuring that no-one is excluding from earning money on a contract funded by Dundee City Council because of their trade union membership or because they are concerned about health and safety. I've called for Dundee City Council to voice its opposition to the closure of the Royal Bank of Scotland branch on the Perth Road. The council renewed its contract for banking services with the Royal Bank of Scotland on Monday evening. I raised concerns about how this fits in with the council's Community Benefits from Procurement Policy. The council is committed to securing 'maximum economic and social benefit from procurement activity.' I want to see the council give greater prominence to these Community Benefit policies. I put forward a motion which called on the council to write to RBS setting out the council's objections to the closure plan and which asked RBS to reconsider its decision. I am disappointed that the Royal Bank of Scotland has decided to close its Perth Road branch. Dundee City Council banks with RBS and renewed its contract with them on Monday evening. I am calling for the council at the very least to write to RBS and call for them to reconsider their proposals to close the Perth Road branch of RBS. The City Council has a very well thought out policy on Community Benefit from Procurement but the impact of the closure of the Perth Road branch was not been included in the report for Monday evening. I am pleased that the council unanimously backed my plan to object to the closure of RBS on the Perth Road. The closure of the RBS branch on the Perth Road will have a negative impact on local people who are customers of RBS as well as local businesses who bank there. I am also concerned about the wider impact on the Perth Road shopping area with the closure of this bank. I have met with RBS and raised my concerns, along with Jenny Marra MSP, I want them to reconsider their decision. If they are not prepared to do this then I have called on them to give a commitment to retaining a cashline machine in the Perth Road for at least ten years. I am clear that RBS has a wider social responsibility to the community particularly as they are owned by the public at this time. I want to see the decision to close the Perth Road branch changed. I am very concerned that this is RBS's third closure in the West End ward since 2011 with the University and Ninewells branches closing then at the same time the Lochee High Street branch closed. Does RBS have a commitment to the benefit of the wider community in Dundee? A very happy Easter to everyone who is celebrating this feast. Please watch the video to listen to Dundee's own Cecilian Choir singing the Easter anthem Regina Caeli. Fortnightly Bin Collections - What Happened to the Consultation? I am calling for answers as to what happened to the consultation promised on fortnightly bin collections promised in June 2013. I'm clear that this has not happened in any meaningful way. I would also draw attention to the so-called consultation on the closure of the Marchbanks recycling facility which did not meaningfully consult with the public. The Labour Group on the City Council are calling for a deferral of the proposals for fortnightly bin collections until the consultation promised and which is the policy of the council is carried out. I want Dundee's recycling record to improve. I want to see changes that improve it. I am clear that for this to happen there needs to be support from the people of Dundee. One way of ensuring this would be to have an extensive and full consultation before the policy is agreed, this is what was agreed to in June 2013. A consultation after the policy has been decided is meaningless. I want to know why decisions of the council are being ignored by officers and by the SNP Administration. We need to be able to trust that decisions made democratically are actually implemented. It is clear to me that people are uncertain about the proposals, they are after all a major change, I think that if they had been involved in the decision making process this would be different. People understand the need to improve recycling, why doesn't the council trust them to have a say on what is being proposed. Unlike most decisions of the council this is a policy which will impact on just about everyone in the city. It is crucial that the council gets it right. I do not think that imposing it is the way to do this. On the issues contained in the report I still have some problems with the contents. I want to be convinced that we have got the correct policy for the many tenements and other flats in the city. Everyday in my ward I see that the current policy in tenemental areas is not working. Parents complain to me about not being able to push prams along pavements due to the wheelie bins being left out permanently. Elderly people raise concerns about being forced to walk on the road because the pavements are blocked. Are the new proposals going to solve this?